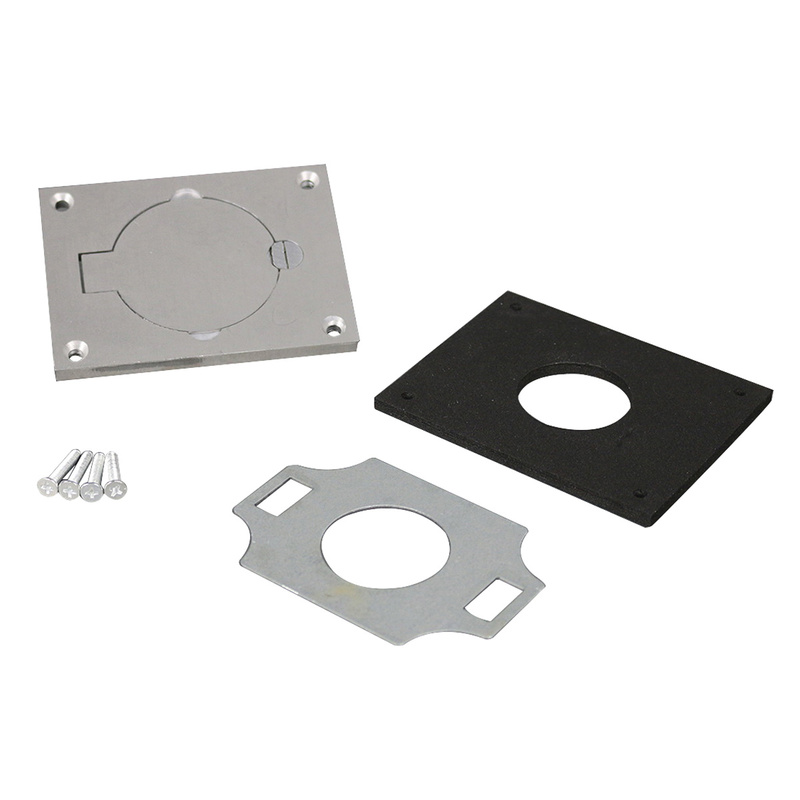 Wiremold OmniBox® Single locking receptacle cover plate features aluminum construction with brushed finish for effective corrosion resistance. It has a dimension of 4-5-16-Inch x 3-1/4-Inch. This cover is ideal for use with 20-Amp or 30-Amp single locking receptacles. Receptacle cover is RoHS compliant.